We will make your long distance move a smooth and stress free experience. We offer cross country and international delivery option. We’ll happily transport your entire household. We offer several moving kits and supplies for rental, so you don’t have to worry about the small details for the big move. Sometimes you just can’t take everything with you when you’re moving. We have all the packing supplies, including boxes, packing tape and bubble wrap. If you choose to rent your own moving truck, we will gladly load and unload it for you. 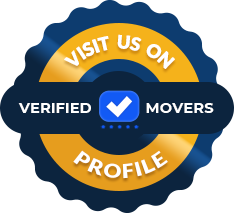 We just did a move on the coldest day of the year from Burlington to water down it took approximately eight hours to complete the move and that you guys were absolutely fantastic Adrian the owner took care of us completely I can highly recommend his services to anyone looking to move great job guys we really appreciate it. Wonderful. Amazing. Adrian was so nice and very professional! Prices are definitely reasonable and no hidden fees which I loved! Moved me in November, was done swiftly and everything was delivered in perfect condition. Would definitely recommend to anyone I know. Monday to Saturday 8 a.m. to 10 p.m. Number 1 Movers © 2018 All Rights Reserved.